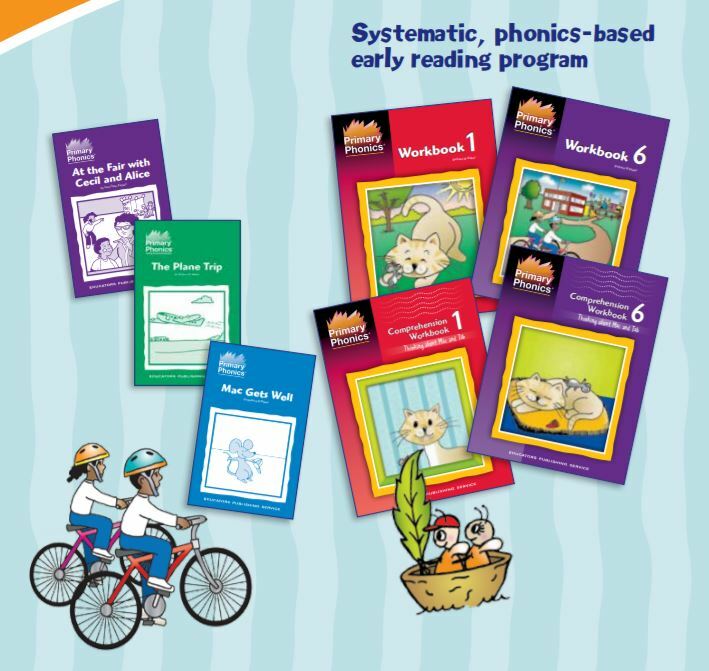 Systematic, Phonics-Based Early Reading Program from Educators Publishing Service. This series successfully stands the test of time for one reason - it works! 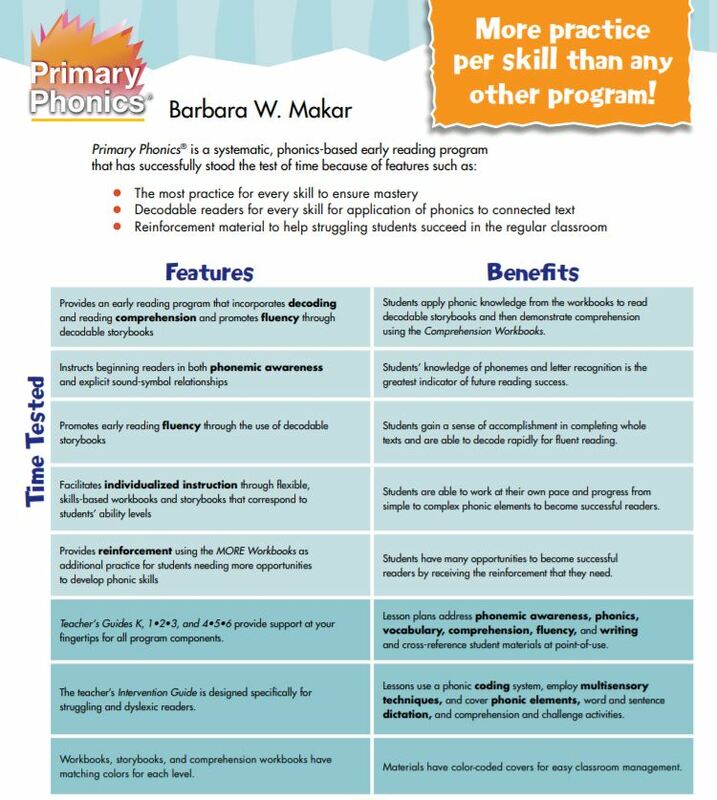 Primary Phonics facilitates individualized instruction through flexible, skills-based workbooks and storybooks that correspond to students’ ability levels. 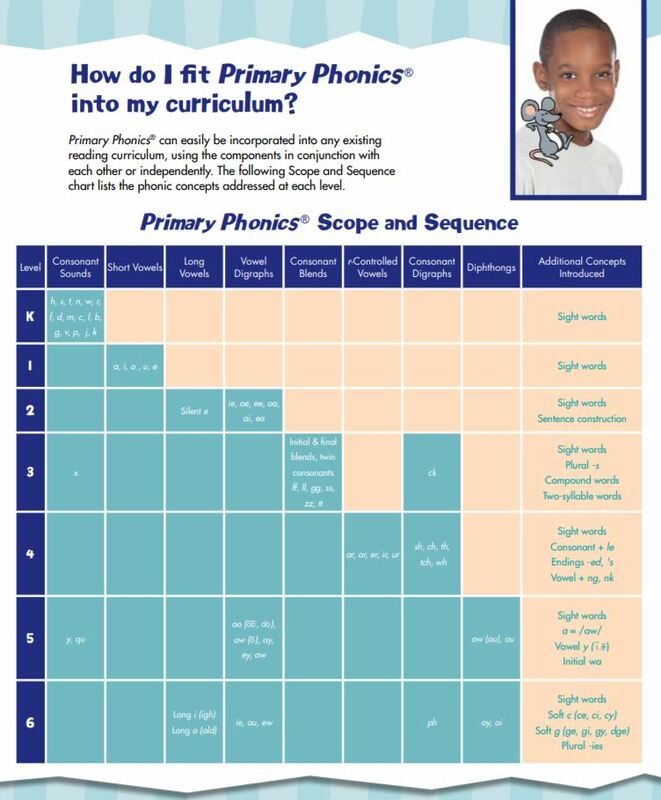 Students are able to work at their own pace and progress from simple to complex phonic elements to become successful readers. Students apply phonic knowledge from the workbooks to read decodable storybooks and then demonstrate comprehension using the Comprehension Workbooks. The easy-to-decode stories nurture early literacy development and build new readers’ self-confidence while applying phonics to connected text. Ample opportunities for reinforcement are included. The most practice for every skill - ensure mastery! Decodable readers for every skill - apply phonics to connected text. Reinforcement materials - help struggling student succeed in the regular classroom.